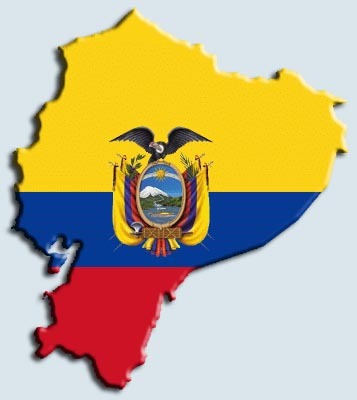 The Latin American Association of Intellectual Property (ASIPI) promoted on September 8 and 9 in the city of Quito (Ecuador) a Roundtable on Competition Law. The objective of this meeting was to discuss the establishment of an effective legal framework to tackle anticompetitive practices based on the economic and political peculiarities of the region, and the intersection between IP rights and competition. Three Legal Experts from different countries were invited for this event. Mr Carlos Alberto Arroyo del Río of the Ecuatorian law firm Estudio Falconi Puig Abogados and the Peruvian attorney Mr Carlos Alberto Arroyo del Río of the firm Luiz Echecopar spoke about the existing antitrust structure in their countries. The Brazilian IP attorney Mr José Carlos Vaz e Dias of the firm Di Blasi, Parente, Vaz e Dias Advogados & Associados brought two cases being handled at the Antitrust Division that were related to IP rights. Besides addressing the existing structure and the functionality of the competition law system in the aforementioned countries, the speakers dealt with one of the most controversial and sacred subjects in Latin America: the impact of intellectual property rights on competition. The main question to be answered in this regard was the following: Does Intellectual Property foster competition in the Latin American countries? The unanimous answer was positive, as IP rights are effective instruments to bring new companies into the market, especially that created by innovative products. Moreover, it induces local companies to participate in high technology fields, such as biotechnology and IT products. It was argued that, in Brazil, the protection of industrial design provides an opportunity for local companies to participate in the competitive, restricted and global market of “haute couture” (shoes, clothes and bags) and in the supply of spare parts to the automobile companies. Further to that, Latin countries have been erasing the concept of adopting a set of clauses regarded as a violation per se of competition. Instead, the examination of the effects on competition of specific clauses in technology transfer agreements is now required. The common position of the experts reflect the general understanding of Latin Americans and may be considered as a radical and positive change towards the governments’ attitude in the 80’s, as several limitations were raised to the IP laws as an attempt to reduce the impact of IP on their industrialization policy. "In a joint statement delivered to the fourth meeting of the UK-Brazil Joint Economic and Trade Committee (JETCO) on 16 September, Ian Fletcher, CEO of the Intellectual Property Office, outlined the achievements under the current work plan between the two countries. * a shared common analysis of the challenges facing the global IP system. * exploring model agreements for managing IP in international collaborative R&D projects. Jorge de Paula Costa Avila, President of the Brazilian National Institute of Industrial Property, welcomed the continuing collaboration between our respective IP offices and agreed that we have a shared interest in a global system which works. He said that we must explore new ways of working if we are to help our countries innovate and grow". 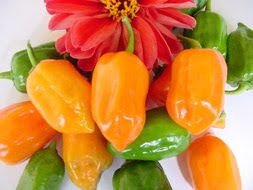 Península de Yucatán – Origen del Chile Habanero. Según nos informan nuestros amigos de ALHEN, la controversia constitucional respecto a la denominación de origen del Chile Habanero que les informamos anteriormente ha llegado a buen puerto. Como recordarán, los Estados de Quintana Roo, Yucatán y Campeche peleaban ante el Instituto Mexicano de la Propiedad Intelectual (IMPI) el título por el cuál se les permitiría asegurar la explotación comercial y el reconocimiento de origen de dicho tipo de chile. El resultado ha sido la presentación de una nueva solicitud de la denominación de origen cuyo nombre será "Chile Habanero de la Península de Yucatán", la cual abarca ahora el territorio de los estados de Campeche, Quintana Roo y Yucatán. Primera marca de certificación registrada en Bolivia. “Triple Sello” es el nombre de la primera Marca de Certificación inscrita oficialmente ante el Servicio Nacional de Propiedad Intelectual en Bolivia (SENAPI). La marca es una herramienta desarrollada por el Instituto Boliviano de Comercio Exterior (IBCE) para aplicarse a los productos de las empresas que puedan demostrar fehacientemente que en su elaboración no incurrieron en prácticas de “trabajo infantil”, “trabajo forzoso” y cualquier forma de “discriminación” a lo largo de toda su cadena productiva. La creación y registro del “Triple Sello” se hace con miras a la erradicación de las peores formas de producción, convirtiéndose así en una inédita iniciativa privada destinada a la promoción de los derechos humanos, derechos laborales y los derechos de la niñez y adolescencia. Desde el lanzamiento del “Triple Sello”, a fines de julio, una decena de empresas bolivianas de los sectores agroindustrial y forestal vienen sosteniendo conversaciones con el IBCE para obtener información para postularse a la certificación. A recent electronic bulletin from Daniel Advogados, Brazil, reports that the members of the musical group J. 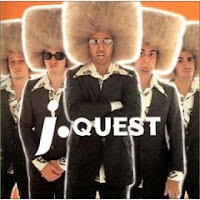 Quest are to receive the equivalent of around US$ 26,000 from local company Wizard Brasil Livros e Consultoria by way of compensation for the wrongful use of images, as well as the use of passages from their songs, following an order by the Minas Gerais State Court. Wizard was initially entitled by contract to use the material in question, but carried on doing so post-termination. According to Wizard, its use was provided for under the contract, but the trial court disagreed. This decision is still not final as an appeal lies to the State's Court of Appeals. The World Trade Organization has upheld Brazil's complaint against the United States regarding the subsidies paid to US cotton farmers (see IP Tango here), which make it difficult for a large number of countries, championed by Brazil, to export their own produce to the world's most valuable market. The two countries are now in dispute as to the value to Brazil of its victory. According to the Brazilians, this ruling entitles the country to about US$800 million in sanctions against the United States this year, of which US$340 million would be comprised of "cross-retaliation" against US intellectual property or services. The Americans disagree, asserting that the sanctions were worth only around USS$300 million and that Brazil would be unlikely in the near future to retaliate against US intellectual property rights. According to the World Intellectual Property Organization's TLT Notification No. 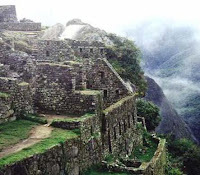 52, the Republic of Peru has deposited its instrument of accession to the Trademark Law Treaty (TLT), which will enter into force with respect to the Republic of Peru on 6 November 2009. This will bring to 45 the number of countries that have signed up to the TLT (for a complete list of TLT members click here).